Several years ago, there was a perfume called Aquolina Pink. It smelled like cotton candy with a hint of musk. It was heavenly. I made the soap, lotion, and dry oil perfume in that scent. It was my signature scent. I got a lot of compliments on it too. 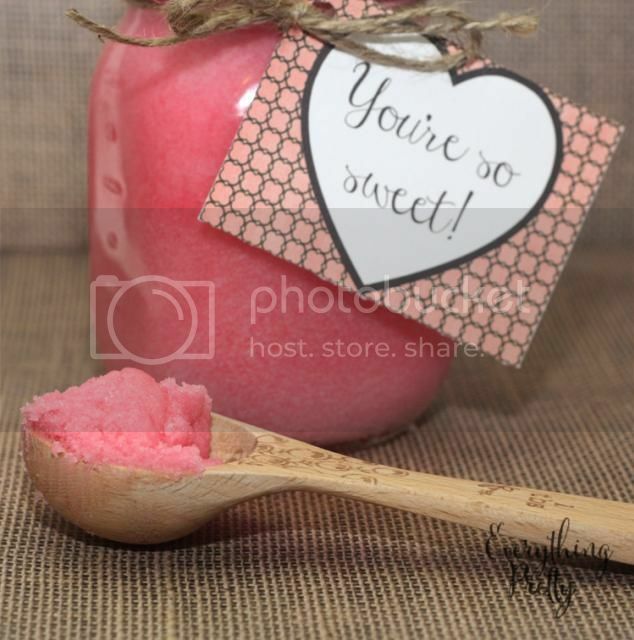 That scent inspired this fun Valentine's Day pink sugar scrub recipe. Of course, you can use any scent that you'd like or leave it unscented. But if you are looking for an amazing scent, give Aquolina Pink a try. Melt the coconut oil in a glass bowl in the microwave for 15-20 seconds on high. Add 1 tablespoon vitamin E oil if desired. Add sugar and color and stir well. If you want a coarser scrub, add up to 1/2 a cup more sugar. Package in mason jars or any other decorative container. How easy is that? 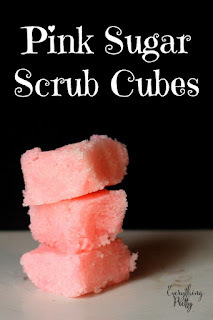 This is just a basic sugar scrub recipe, but it works very well on your body. Don't use it on your face though; the sugar is too abrasive for your delicate facial skin. I really like using coconut oil because it firms up and I like the consistency. You can use olive oil if you prefer. See how thick it is? I've also made it with castile soap to cut down on the oil a little bit. Use this peppermint sugar scrub recipe and omit the peppermint essential oil and substitute your favorite scent. Want to give this as a gift? 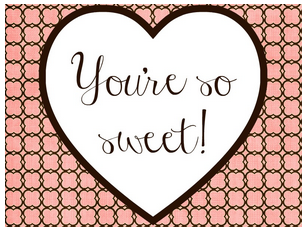 Here's a printable label to attach to the jar. Just print it out, cut it, and punch a hole in the corner. Use pretty ribbon or twine to attach it to the jar. I made it a rectangle so you can use a regular mason jar, wide mouth jar, or any other container. 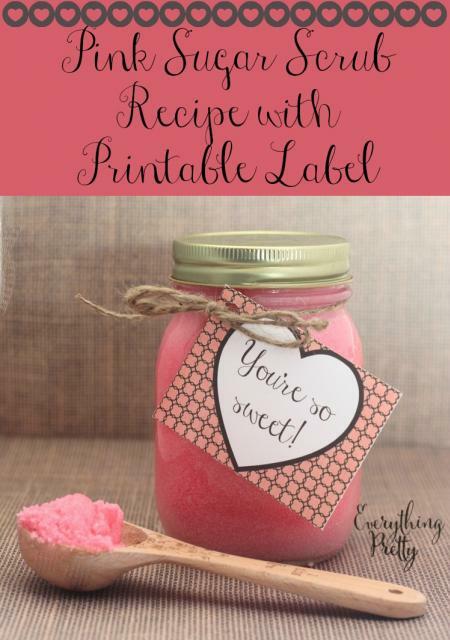 The printable has six tags on the first page and just two on the second page, so if you're just making one or two jars, print only page two. 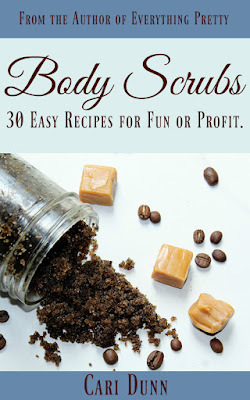 Learn how to make 30 different body scrubs in my ebook, Body Scrubs!